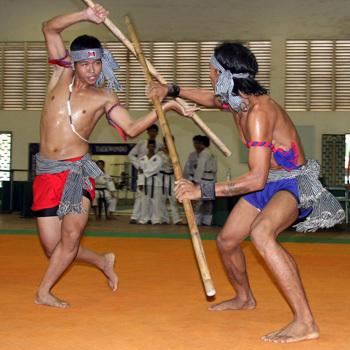 Cambodian men practice the Khmer martial art Bokator in October of this year. UNESCO’s Intangible Cultural Heritage list. Tem Moeun, president of the Cambodian Amateur Boxing Federation, said officials planned to nominate the martial art, known as Kbach Kun Boran Khmer, for inclusion in the list next year. “We have almost completed the research about Kbach Kun Boran Khmer for submission to the list,” he said. opera and the Mediterranean diet. back at least to the Angkorian period. practising the martial art in Cambodia.